Loading logs onto a timber train near Kettle Creek, Potter County, PA, 1901. Flip to Skidway of more than 3,000 logs above railroad tracks, somewhere in Pennsylvania, circa 1900. 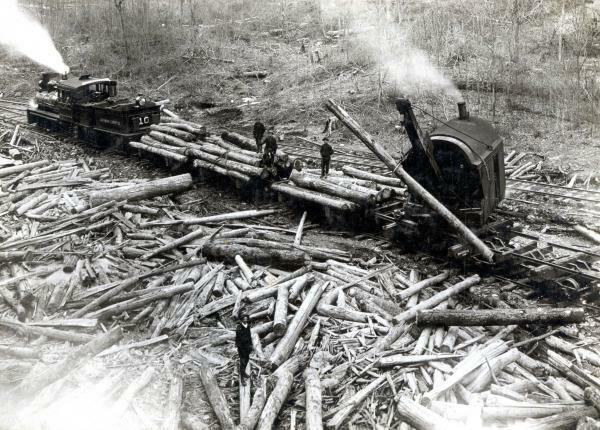 In the late 1800s, makeshift railroads enabled timber companies to log previously inaccessible areas, and turn Pennsylvania into one of the nation's leading producers of timber.